Recently there was published in the Duluth News Tribune, a commentary article applauding the safety and efficacy of the HPV (human papilloma virus) vaccines (Merck’s quadrivalent Gardasil, Glaxo’s bivalent Cervarix and the newest one from Merck, Gardasil 9, which the company hopes will make obsolete the first two). The article, written by a board-certified pediatrician, failed to fulfill a physician’s ethical and medical-legal duty to fully inform her readers about the negative aspects of the vaccines as well as the positive ones. 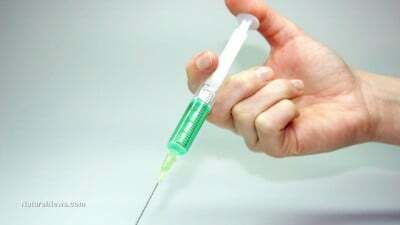 All vaccines have potentially serious adverse effects, only partly because many of them contain substantial amounts of the neurotoxic, fetotoxic and teratogenic aluminum (especially when it is injected into muscle tissue). Aluminum is included in many vaccines where it acts as an adjuvant, which makes it highly likely to cause brain problems in immunologically immature infants (and fetuses) because it adversely affects the blood-brain-barrier and is a mitochondrial toxin. Vaccine adjuvants are added to many vaccines to enhance the immune response to whatever antigen is given. One can assume that the co-authors hadn’t read the package insert of the newest Gardasil vaccine or the alternative medical literature (that hasn’t been bought by Big Pharma), because there aren’t many physicians who can say that they ever thoroughly read what the Physician’s Desk Reference says about any drug or vaccine before they prescribe it. It is a sad but true reality that most busy, fatigued and often double-booked physicians just don’t have the luxury of time (or energy) to do independent research or reading, especially when some pharmaceutical corporation, drug rep, WebMD, or other questionable source of information has done some for him or her. Sadly, much of the information coming from Big Pharma (essentially sales pitches and propaganda that they like to call “physician or patient education”), physician-targeted websites, or any of the many professional trade associations (like the AMA, AAP, APA, AAFP, etc) are heartily – and often blindly – pro-drug, pro-vaccine and anti-nutritional therapy. Because of my deep interest in the subject of iatrogenic diseases (these are disorders caused by prescription drugs, vaccines, medical devices or surgical procedures administered or prescribed by a physician), I have been acutely aware of the many very serious adverse effects that are too-commonly over-looked by busy physicians. And I read the adverse reaction section of the Gardasil package insert. I urge all vaccine-prescribing physicians and prospective Gardasil recipients to do the same. Having retired from active practice, but still interested in medicine, I have the time and energy, when I am interested, to actually read the PDR and the abbreviated, woefully incomplete medical journal advertising (which no longer includes diagrams of molecular structures [Big Pharma apparently wants to keep us physicians ignorant of the chemistry of their potentially lethal drugs). The information within the PDR is sobering, even infuriating, especially when I consider all the times that I cavalierly prescribed dangerous drugs without being fully informed myself about their dangers. Thankfully, I practiced medicine during an era when Big Pharma, Big Insurance and the profit motives of Wall Street investors and Big Medicine weren’t in charge of medical education and the way medicine was practiced. Back then physicians recoiled at the thought of giving more than one vaccine inoculation at a single sitting or prescribing more than one drug at a time! My conscience is clear when it came to vaccines, even though I, just like most of my colleagues, had no idea what dangerous ingredients were in them and how risky was giving multiple shots to tiny infants at one sitting. But no patient of mine ever became autistic from any neurotoxic mercury- or aluminum-containing vaccine that I ordered, because there weren’t very many vaccines to give. No patient of mine ever developed an autoimmune disorder because there was no Big Pharma-promoted over-vaccination agenda back then. And no young healthy adolescent female patient of mine every developed chronic fatigue syndrome, chronic headaches or chronic vascular instability from aluminum-containing human papilloma virus inoculations. There was no such thing back then, for the medical profession very efficiently and very cheaply prevented cervical cancer by simply doing periodic Pap smears. Because of the above information, somebody with some expertise in the area has the duty to again warn Duluth-area readers of the Duluth News-Tribune about last week’s unashamedly pro-HPV-vaccine DNT commentary article. Gardasil ain’t what it is advertised to be, and patients have the right to know what those unwelcome realities are. Following are some excerpts that people need to know, especially if they are contemplating receiving the series of three Gardasil shots. The problem is world-wide, with Japan recently withdrawing its mandate for Gardasil vaccinations and most first world nations re-considering their vaccine agendas. The United States can afford to be more cavalier, because of the fact that vaccine manufacturers and prescribing physicians are immune from medicolegal liability when vaccine injuries or deaths occur. The following articles and excerpts should be instructive. The FDA needs to be removed from the responsibility of ’assuring the safety, efficacy and security’ of vaccines. It is quite obvious they are not up to the task. They are most certainly not acting in the best interests of the public. Medical consumers – do not consent to the administration of Gardasil 9 unless you and your medical provider have read and discussed the entire package insert together. The choice is yours, make it an informed one. Dr Kohls is a retired physician who practiced holistic, non-drug, mental health care for the last decade of his family practice career. He now writes a weekly column for the Reader Weekly, an alternative newsweekly published in Duluth, Minnesota, USA. Many of Dr Kohls’ columns are archived at http://duluthreader.com/articles/categories/200_Duty_to_Warn and at http://www.globalresearch.ca/author/gary-g-kohls.